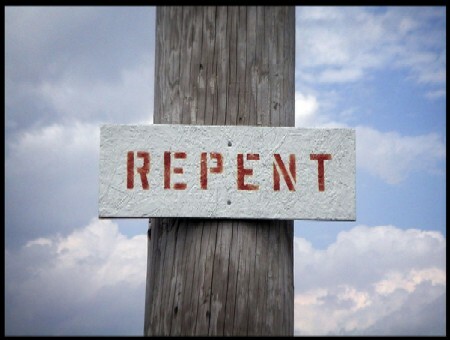 Did the prodigal son repent? If so, how? Read Luk 15:11-32 What happened? It literally means ”turn (back) to grace”. I mean firmly that this isn´t preached in evangelical churches. It’s a world wide difference between repent from sin (or what is rather implied STOP SINNING) VS turn to grace. I belive that when we turn to grace sin looses its power. True biblical repentece is turning to grace and realising you cant do it yourself. The greek word for repentence is metanoia means a change of mind. From ME to HIM! ”I can do it my self, Father (God) I dont need you” This is what the bible calls selfrigtheousness. As time went on the son lost all his money at the same time a famine swept the nation he was in and he was forced to watch swine. This is probaby the lowest job you could have in the context Jesus was telling this parable. Yes he repented, he turned away from his self-sufficiency and his own efforts as he realised he couldnt manage on his own. To son just tried to save his situation, he said ”I will say to my father…” this isnt why he did turned to his Fathers house. His focus wasnt really that he sinned and needed to turn from his sins but rather that he couldent survive on his own.This is true biblical repentence. This is a position were Grace can meet you and transform you. As he met the Father he wasnt able to say ”father I have sinned…” Why? Because the Father didnt care!! The only thing that matterd was that his son had come home. That his son NEEDED him!! Lord Jesus said “repent and believe in the gospel” (Mark 1:15) This would imply a change of mind rather then a change of actions in first hand. It also implys turning TO something rather turning from something. Brothers and sisters turn to Grace!! Du är grym brorsan, det ska bli spännande o se hur det ser ut om några år… Du är en fantastisk vän! Kör på!! !